Maine Educator’s Consortium Celebrates its 10th Anniversary! 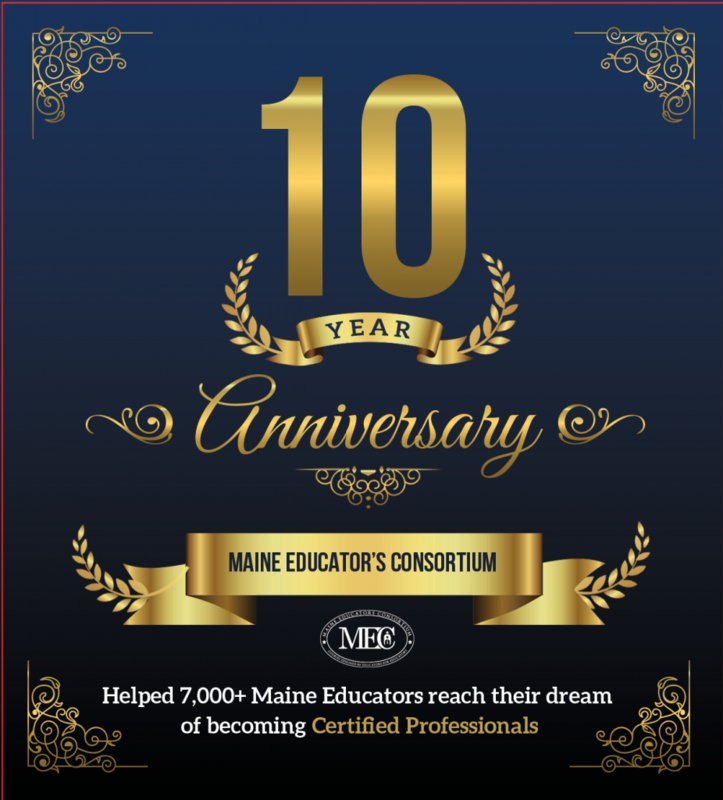 Maine Educator's Consortium > Maine Educators > Maine Educator’s Consortium Celebrates its 10th Anniversary! Our best wishes for a successful new year to Maine’s wonderful educators! Just a few weeks ago, we celebrated our 10th anniversary. This was the perfect occasion to proudly reflect on the 7,000+ educators who took our online classes and became certified professionals. In 2019, we look forward to helping Maine educators further their teaching career and be successful in their classrooms. THANK YOU!